Mold Inspection Tampa. Mold inspection and testing is about investigating and finding all of the mold at your property. 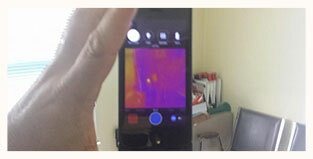 Hygrometers, moisture meters, borescopes and even thermal cameras – all used to help find mold that may be hidden. Air and surface samples are sent to 3rd party certified labs for analysis to identify mold species and determine spore counts after mold is discovered. Lab results will help to decide the correct course of action for remediation if above normal levels of mold are found. Mold Remediation Tampa. Mold remediation and mold removal is all about removing mold and mold spores from your property. Mold removal procedures can differ for each project and usually involves: containment of working area, disinfectant and anti-microbial misting, cleaning and treating of structural elements and application of patented polymer/silver ion sealer to prevent future mold growth. Black Mold The Symptom! Excessive Moisture The Disease In Tampa Homes! 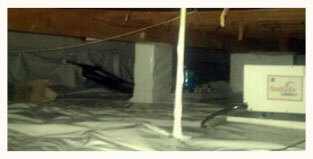 Tampa Homeowners Find A Closed Crawlspace Is The Answer To Mold! Hurricanes and Power Outages! 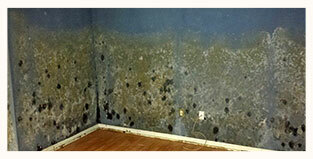 Mold Growth In Your Tampa Home Can Be Prevented From The Resulting High Humidity! Mold In The Bible? Really??? Mold Removal and Remediation In Leviticus 14!